Flats of wood lie on pushcarts waiting to be shaped and sanded by busy carpenters amid wood dust and buzz saws. These Jamaica Plain artisans are not making furniture. Rather, they are learning carpentry by crafting cutting boards. The shop is run by Boston HandyWorks, a division of Pine Street Inn that provides carpentry training. “People take a lot of pride in it,” says director Nicholas Pieri. 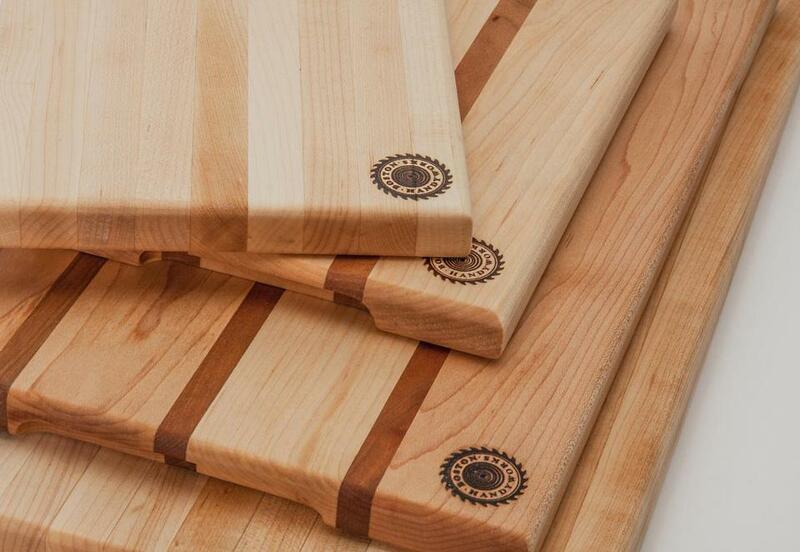 That pride creates quality cutting boards ($17 to $100), good enough for restaurant kitchens and shops such as L’Espalier in Back Bay, and Tres Gatos and City Feed and Supply in Jamaica Plain. Some cutting boards protect counters. These build better lives. Available at Boston HandyWorks, www.bostonhandyworks.com.